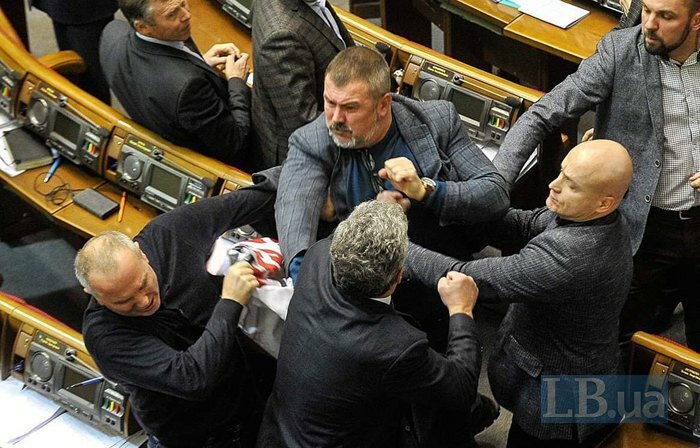 The speaker asked the Boyko-Rabinovych group to "stop rampaging". 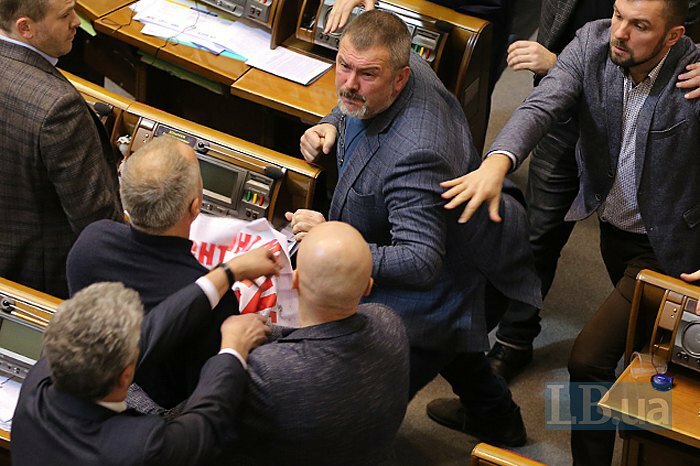 MP Yuriy Bereza from the People's Front faction got into a fight with Opposition Bloc MP Nestor Shufrych after parliament passed the bill ordering the Ukrainian Orthodox Church of the Moscow Patriarchate to change its name. Representatives of the Opposition Bloc and pro-Russian politician Viktor Medvedchuk's For Life party approached the rostrum to express their anger at this decision. 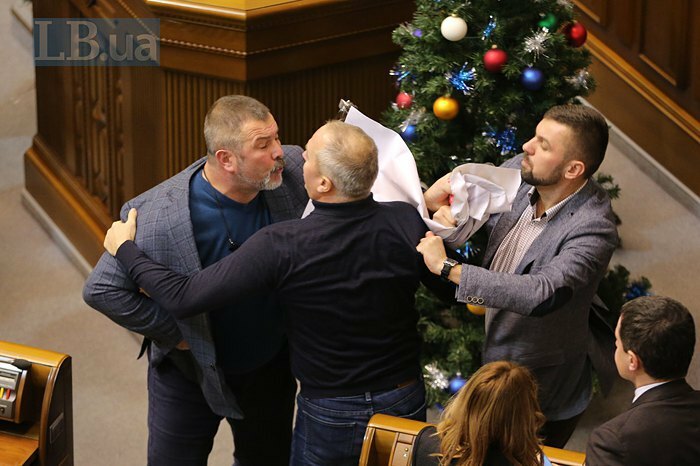 Speaker Andriy Parubiy called a break in the session after which Shufrych tore down a poster saying "Putin's agent Medvedchuk – to trial" from the rostrum. Bereza did not like it and started shoving Shufrych. The argument quickly escalated to a fistfight accompanied by accusations and insults. Parubiy called to order and asked the Boyko-Rabinovych group to "stop rampaging".